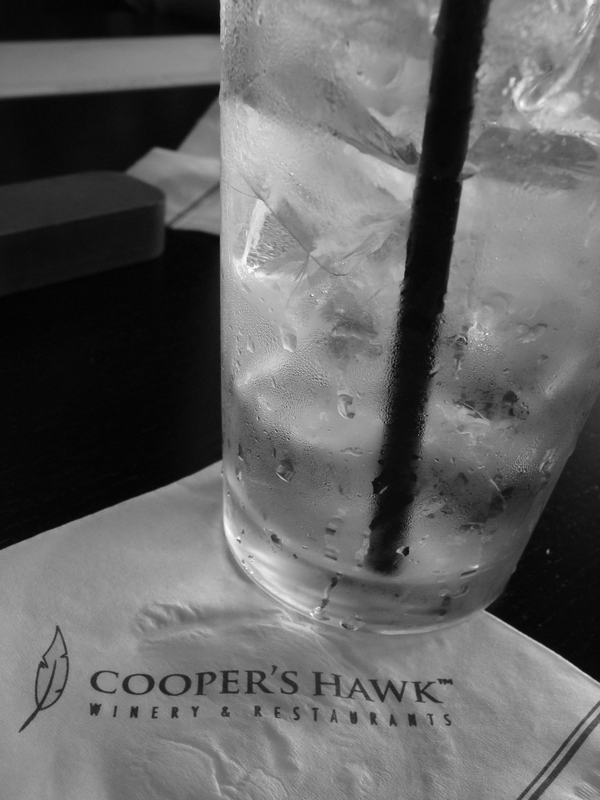 It seems like the general philosophy of Cooper’s Hawk is to offer guests a comfortable, relaxed experience. Try anything you’d like, and if you don’t like it, they’ll find something that you’ll love. 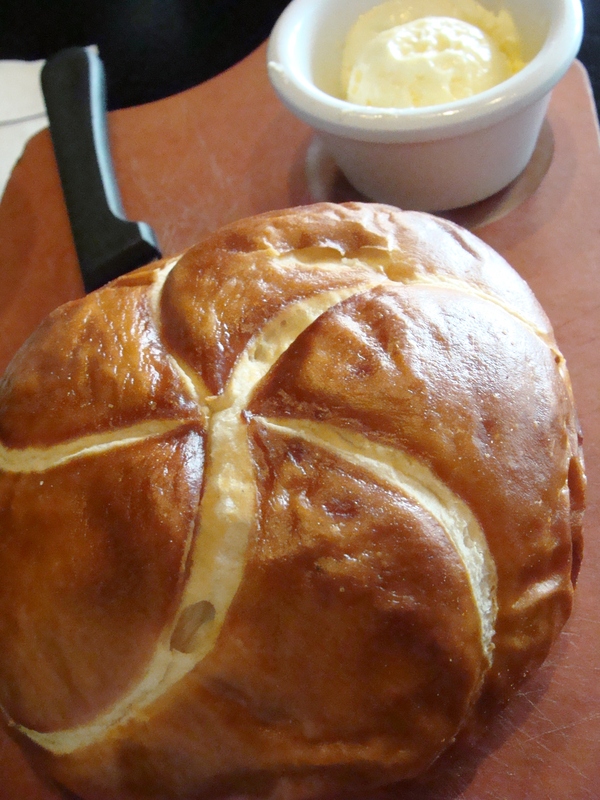 Yes, the pretzel bread deserves two pictures. red wine mustard short ribs, served with roasted vegetables, crispy onion strings, and mustard beurre blanc over mashed potatoes. This was my entree, one I chose that morning after lots of Yelp-research and then daydreamed about all day. 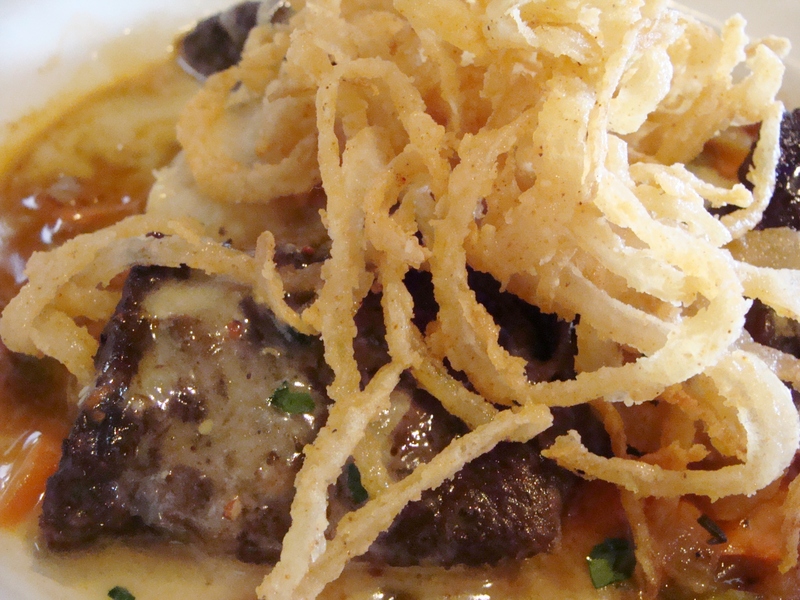 The dish was pure comfort food and the short ribs had amazing flavor. The only bad thing is now I will never order anything but this. 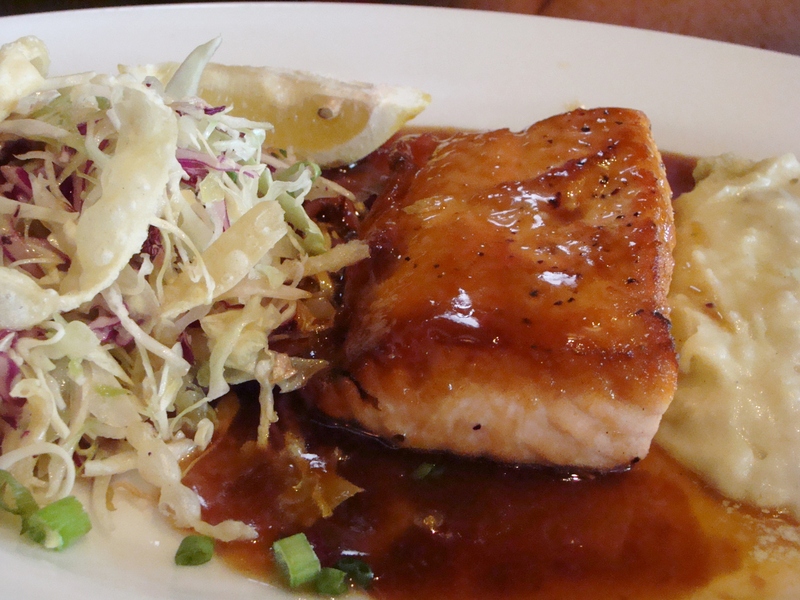 soy ginger salmon with wasabi whipped potatoes and asian slaw. My sister ate nearly every bite of this entree so I can safely give it an A+. sliced beef tenderloin sandwich with provolone, dijon mayo, and crispy onion strings on toasted ciabatta. My sister’s fiance ordered this sandwich on the recommendation of our waiter, along with a side of “Betty’s potatoes,” shredded potatoes with white cheddar and scallions. The verdict: Tasty food that feels worth the price tag ($20-$25 for an entree) and very helpful waitstaff (at least in our case). 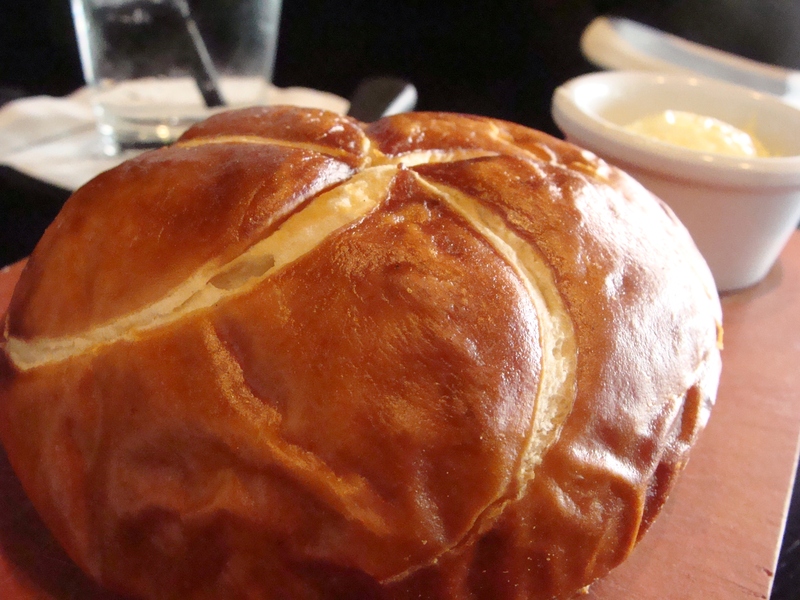 Crazy good pretzel bread! Last but not least–complimentary wine samples galore! Check it out. 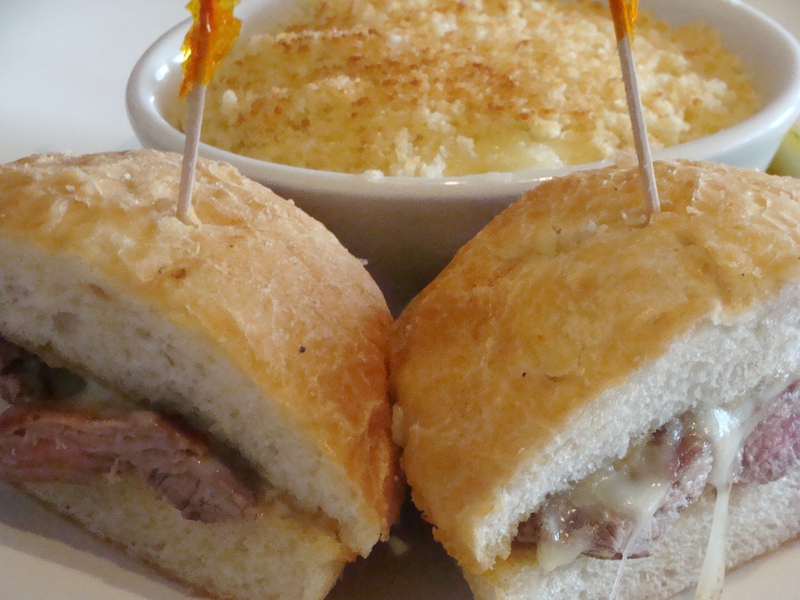 You are currently reading dining out @ Cooper’s Hawk (Columbus) at The Cheesy Kitchen.